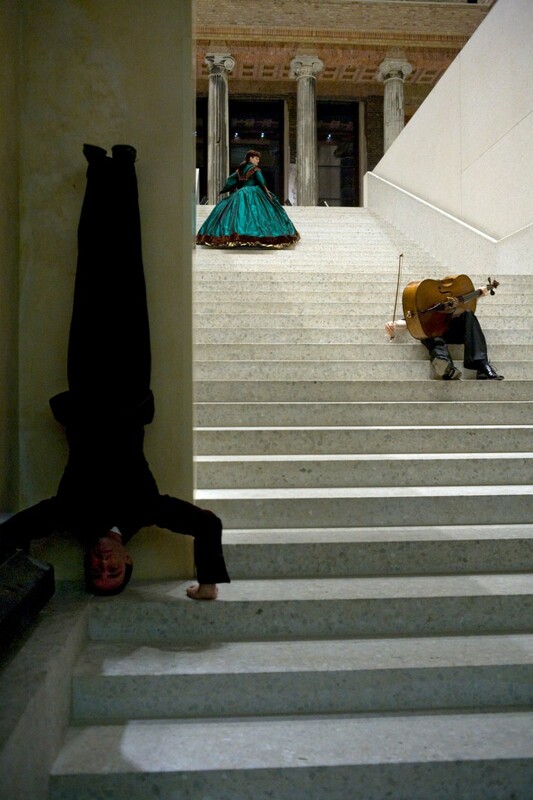 In March, 2009, together with 70 dancers, musicians and singers, Sasha Waltz explored the empty rooms of the Neues Museum on Museum Island in Berlin. After a ten year period of reconstruction, headed by David Chipperfields Architects, the Neues Museum was at a very peculiar point of transition. When the renovation had been completed and prior to the installation of the museum’s exhibits, the building became the site of an unusual temporary »exhibition«, thrilling more than 10 000 visitors. The Interaktive Website »Dialoge 09 – Neues Museum« documents Sasha Waltz’s choreographic exhibition by the same name. 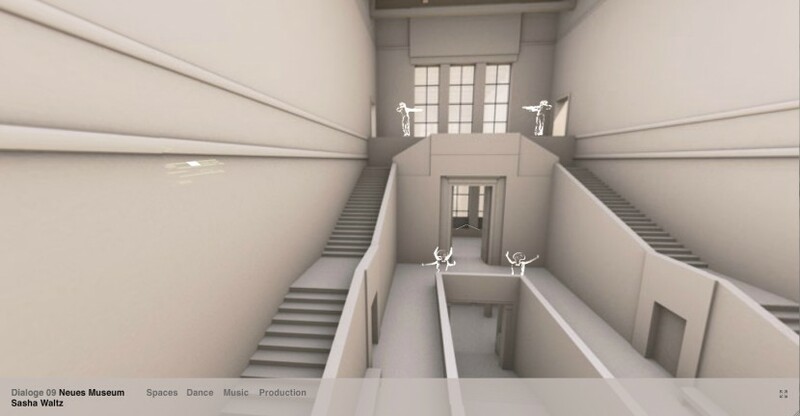 Visitors can virtually experience the rooms of the Neues Museum and the dance sequences by moving the cursor over the website. The website was developed in collaboration with Tapio Snellman / Agentur Neutral from London and Yoreme Waltz (dramaturgy) and forms part of the company’s aims to preserve and sustain more complex choreographic works. To order the DVD »Dialoge 09 – Neues Museum« visit our Shop.